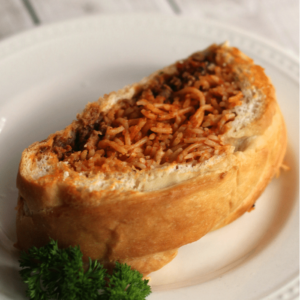 Get stuffed with Spaghetti Stuffed Garlic Bread for lunch or dinner! 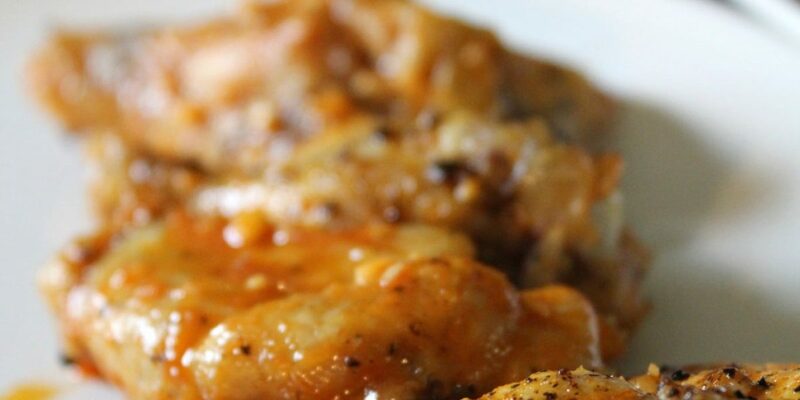 This crazy twist on two of our Italian favorites will surely satisfy your family. 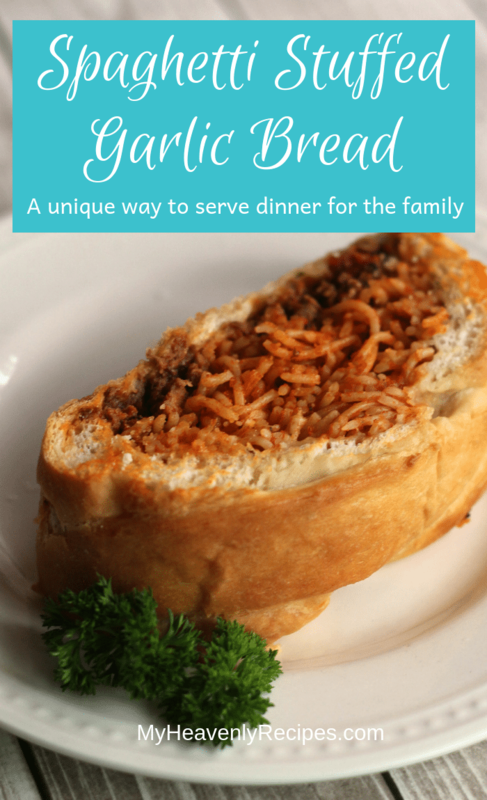 Spaghetti Stuffed Garlic Bread is a hearty complete Italian dish! Why eat the two separately when you can have them both in one bite? The great thing about it is that you can dig into this dish without using a fork. You can eat this with your hands! A meal like this makes eating at the dinner table extra fun with your kids. 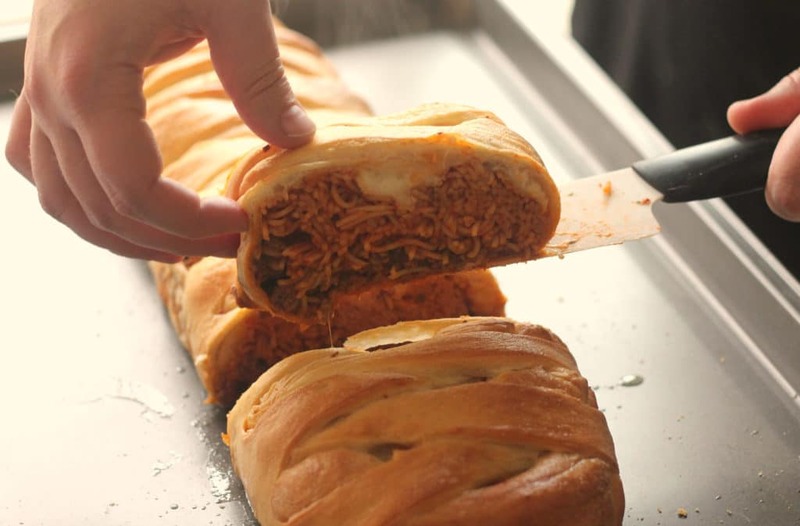 Take Spaghetti Stuffed Garlic Bread with you anywhere! 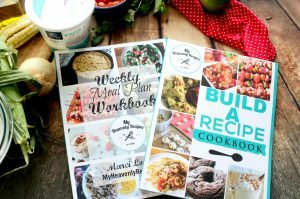 These are awesome for your picnics, packed lunches, and road trips because of how handy it is to eat. 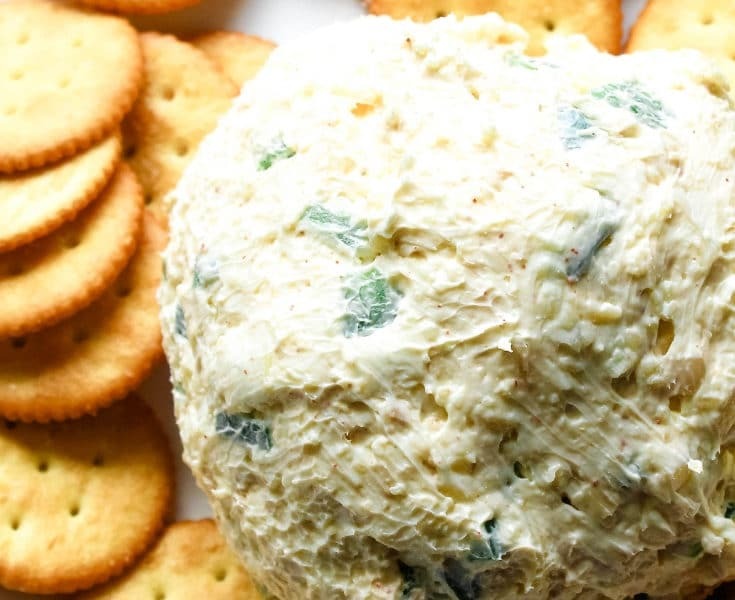 In fact, with a little creativity, you can serve this on occasions like Halloween! Can you picture dressing it up as a kind of spaghetti monster with cheesy mozzarella stick legs and slicing it to reveal its noodle insides? I think it’ll be a fun idea to try for October this year! Mozzarella cheese and pasta noodles in bread make it convenient to pack and eat anywhere! The frozen bread dough makes it easier to hold everything well. The classic combination of butter and garlic brings this dish together. You can make this by baking the bread open with the spaghetti or angel hair pasta inside. Be generous with the cheese on top so that it melts and covers the pasta like a blanket! You can also make garlic bread cones to stuff the pasta into. 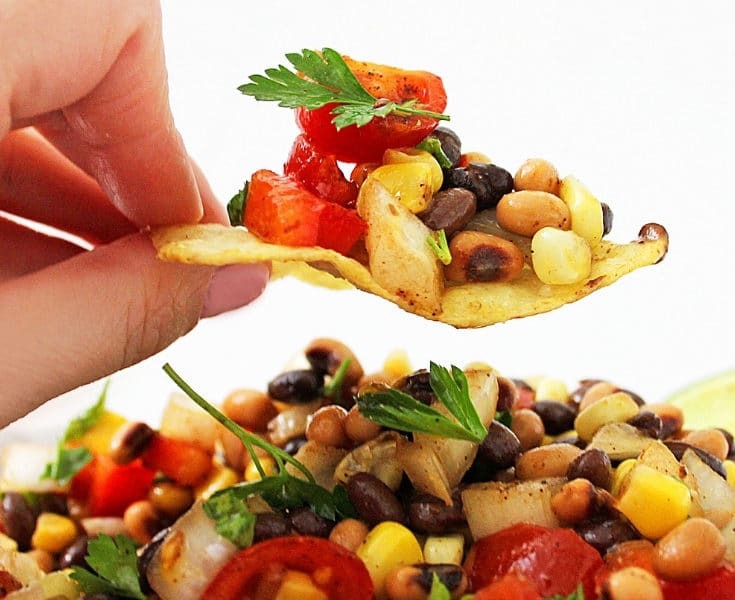 This makes the presentation different and creates another handy way to eat! No time to get frozen bread dough? You can get the quick experience by sandwiching the pasta between slices of garlic bread. 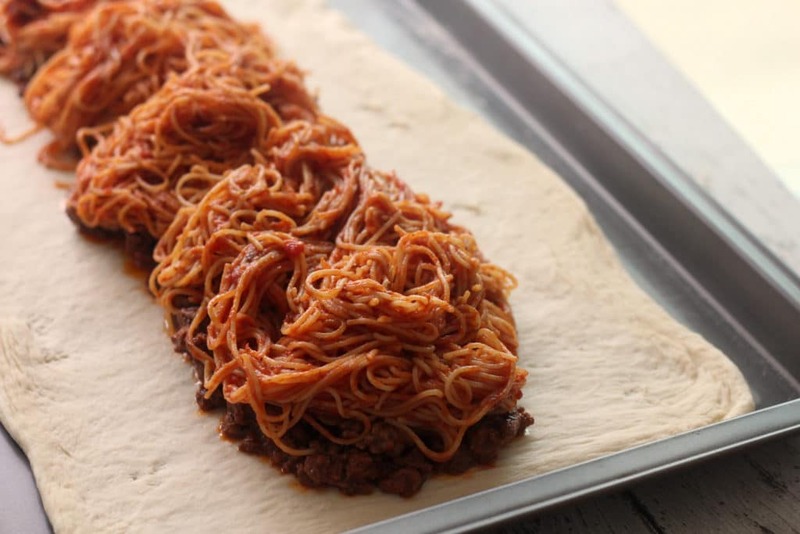 Do you have leftover spaghetti? You can serve it in a grilled cheese sandwich! 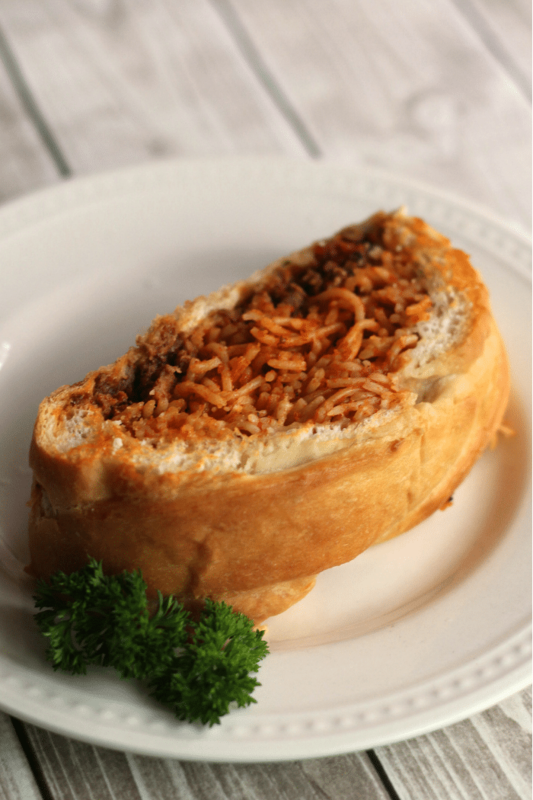 You can get creative and serve the pasta in a garlic bread bowl and cover the top with mozzarella cheese. This way, you can even change up the kind of pasta you use. For a handier way to eat them, try making them into knots for parties! 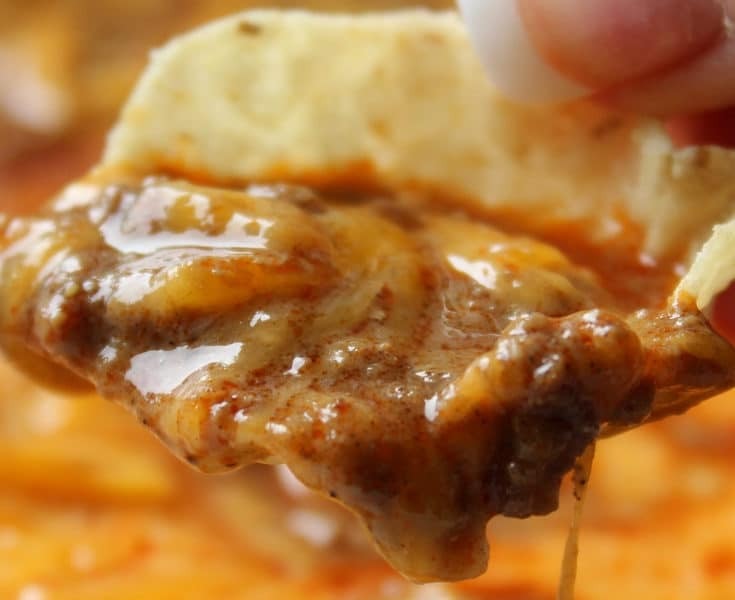 You can serve it with cheese and salsa dip. Yum! In a hurry? While you wait for the frozen bread dough to thaw and rice, work on preparing the other ingredients already. Step 1 – Allow the bread dough to thaw and rise according to the package instructions. This step will take several hours. During the last 20-30 minutes of the dough rising, move on to the next steps. Step 2 – Crumble and brown the ground beef in a skillet over medium heat until fully cooked. Drain off any excess fat. Add half of the jar of spaghetti sauce and reduce the heat to low. Allow the sauce to simmer as you move on to the next steps. Step 3 – Boil the spaghetti or angel hair noodles according to package directions. Drain and then stir in the remaining half of the spaghetti sauce. Set aside. 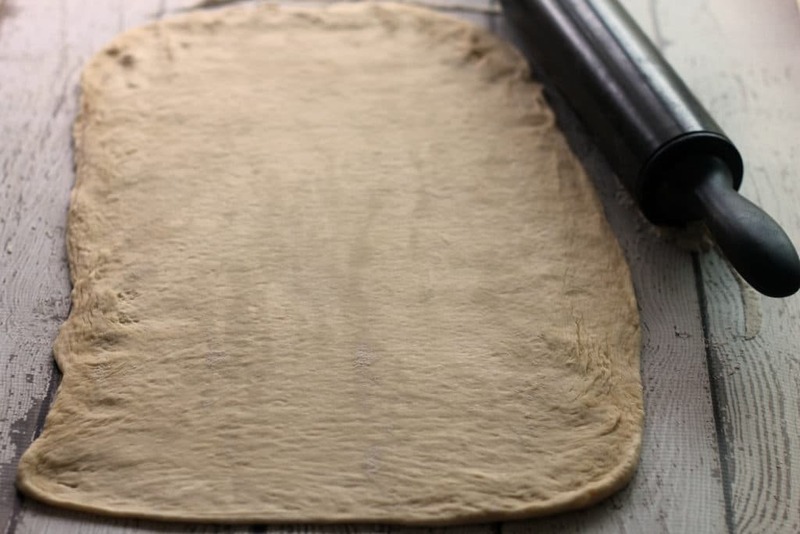 Step 4 – On a lightly floured surface, roll the bread dough out into a rectangle; approximately 18 inches wide and 24 inches long. The dough may shrink a bit after you roll it out, but this is okay. 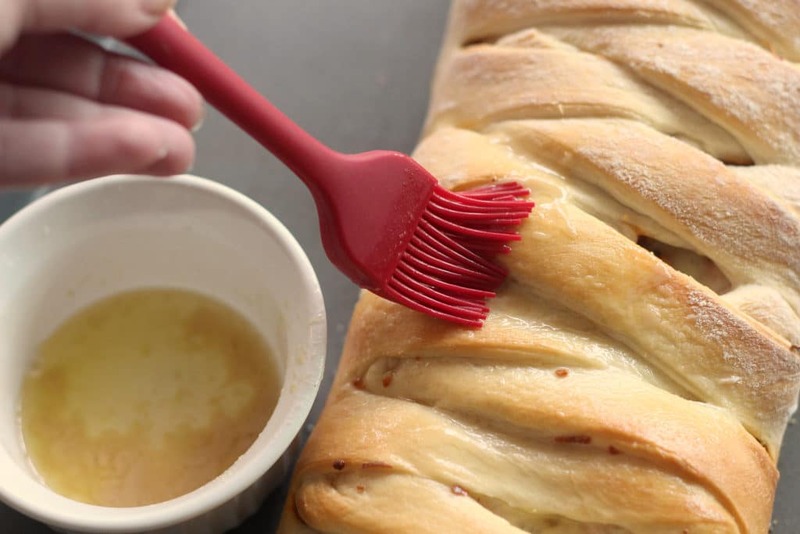 Step 5 – Spray a large cookie sheet with non-stick spray then transfer the rolled out bread dough to the cookie sheet. 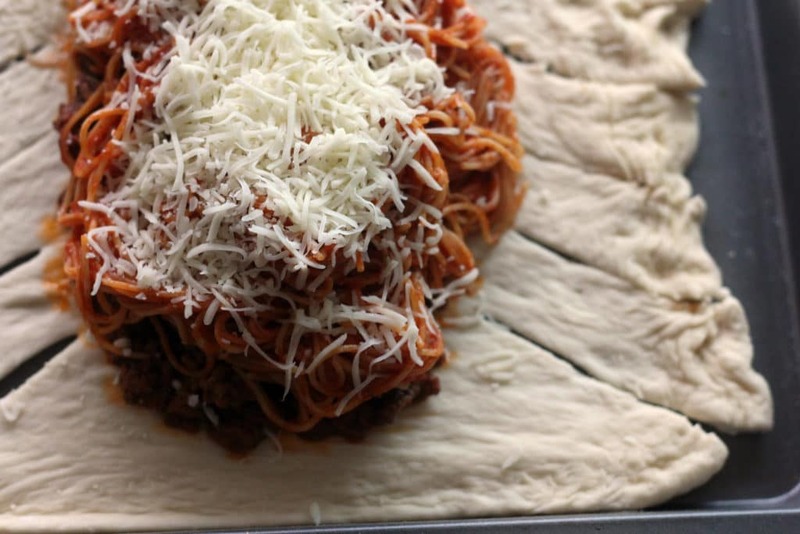 Step 6 – Pour the meat sauce down the center of the bread dough. Top with the spaghetti and then sprinkle the top of the spaghetti with the shredded mozzarella cheese. 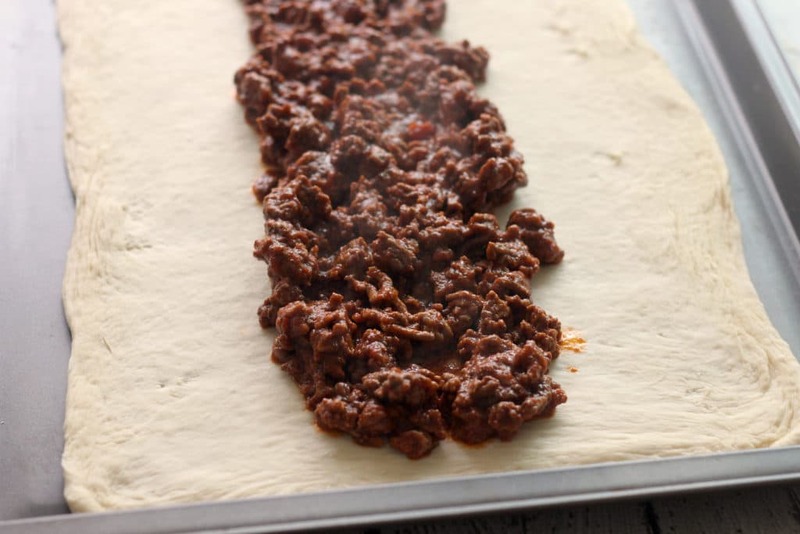 Step 7 – Cut 1 inch wide strips into the dough on each side of the filling starting from the outside right up to the filling. Make a cut on one side and then make a matching cut on the other side to be sure you have the same number of dough strips on each side. 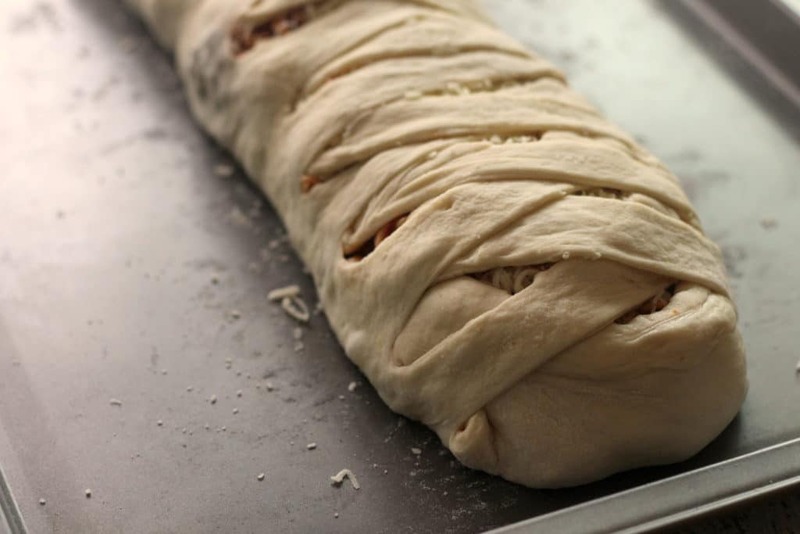 Step 8 – Create a loaf by crisscrossing the dough over the filling. Start at one end and work your way from side to side until you reach the other end. Step 9 – Bake the loaf at 350 degrees for 35 minutes. Step 10 – Combine the melted butter and garlic powder then brush the mixture over the baked spaghetti bread. 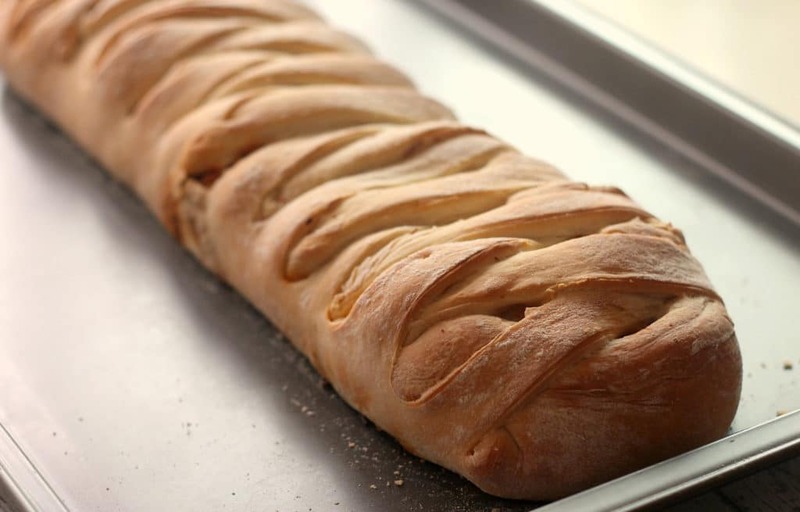 Create a loaf by criss-crossing the dough over the filling. Start at one end and work your way from side to side until you reach the other end.